Marian Duggan is a Lecturer in Criminology at the University of Kent’s School of Social Policy, Sociology and Social Research. Marian’s main research interests lie in how research and theory can inform policy and practice aimed at reducing sexual, gendered and hate-based victimisation. 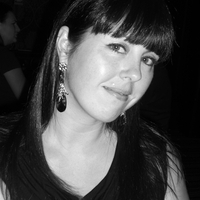 Her published research has investigated the culturally specific factors informing and sustaining homophobia in Northern Ireland; processes of policy formation and delivery with sexual minority communities; the limitations of domestic violence prevention policies; and the exclusion of vulnerable people from recognised strands of targeted victimisation in the UK. Marian combines her academic work with a variety of community voluntary activism designed to see how policy initiatives function at a grass roots level and how such services can be improved in a preventative, as well as responsive, capacity.